A full meal for 2 for $15? Challenge accepted! 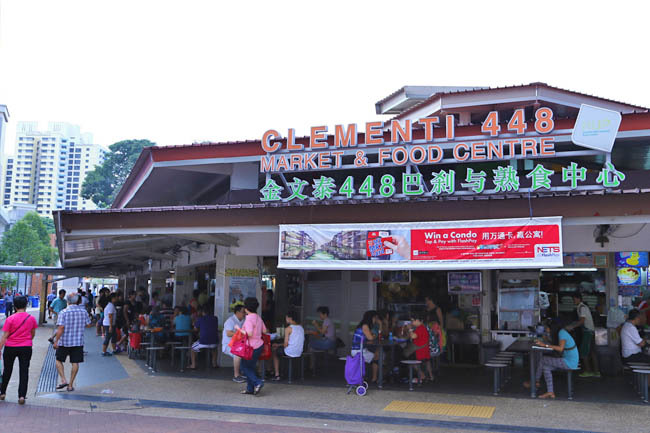 My choice of food place would be Clementi 448 Market and Food Centre, where there are many stalls (some with decades of history) selling tasty affordable local fare, from carrot cake, chicken rice, wanton noodles, Hakka Yong Tau Foo to Muslim food. Many of the selected stalls accept FlashPay as a payment mode. That means there is no need to carry a bunch of cash and heavy coins in the wallet, as we can pay for our food with a simple tap. 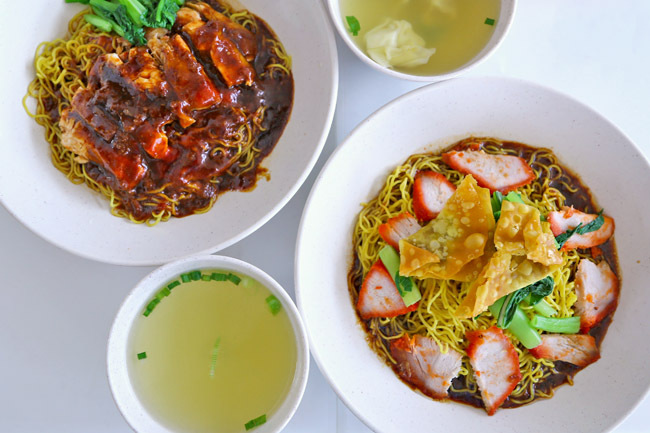 You can always spot a queue at family-run business Boon Kee Wanton Noodle, known for their dumpling noodles, Ipoh Hor Fun and Soya Sauce Chicken Noodles. 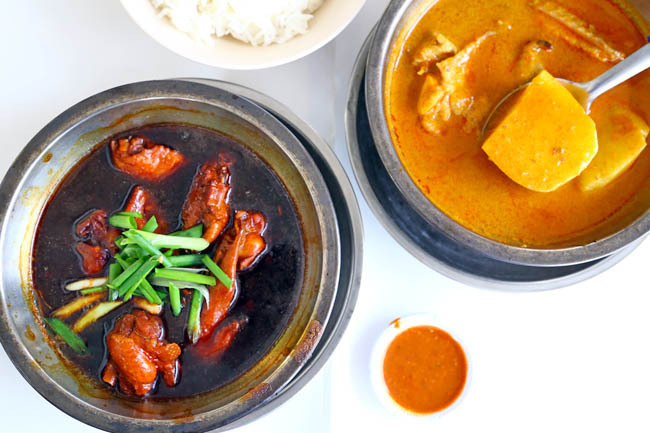 While the taste isn’t extraordinary, its old-school flavour, slurp-worthy dark black sauce base and generous ingredients can woo customers back. 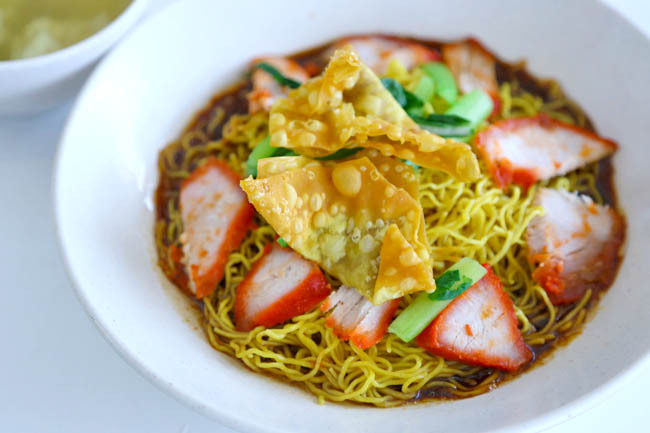 Boon Kee’s Wanton noodles with char siew, greens, deep fried wanton and wanton in soup are priced at $3.00 or $3.50. Additional orders of Wanton Soup is not too expensive at $2.50, Oyster Sauce Vegetables $2.00 and Fried Wanton at $2.50. 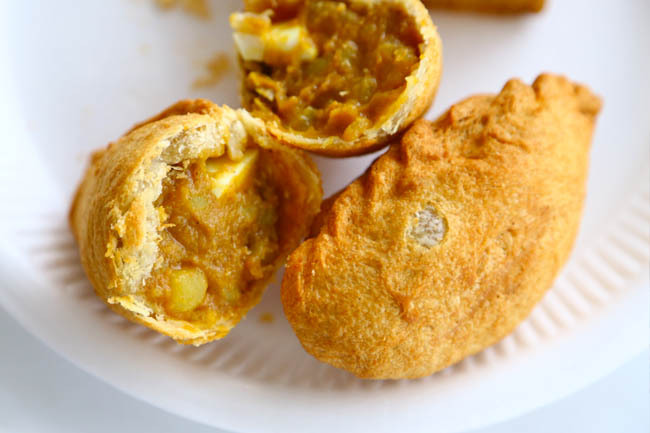 Since there is extra cash left, I went on to buy 2 curry puffs ($1.10 each) and a yam cake (60 cents) from Fong’s Dee. There are so many peck-ish items such as Egg Tarts (60cents) and Fried Banana (70cents) available that you would be tempted to get for snacks in office. 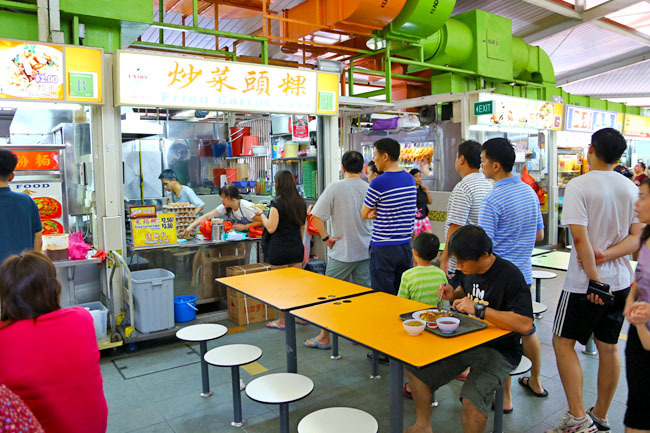 This stall is known for selling just one dessert – the Teochew-style Cheng Tng. Great for the hot Singapore weather, the owners can sell up to 400-500 bowls a day. 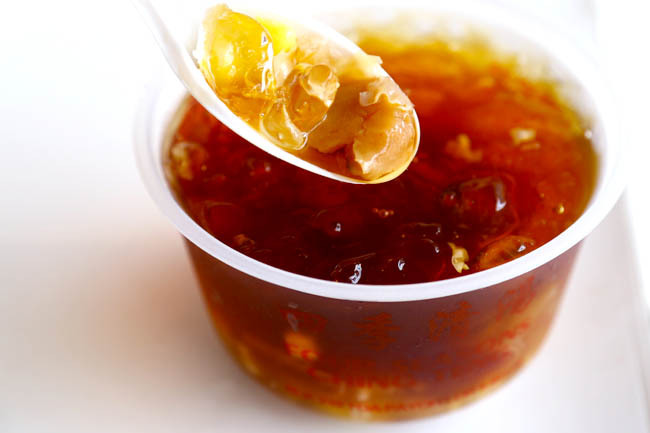 10 different ingredients are used to create this refreshing bowl, including gingko nuts, white fungus, winter melon, dried persimmon, barley, sago, two different types of longan and a secret fruit. Actually, Dong Po Braised Pork is not that easy to find in food centres in recent times, due to the amount of time and effort needed to prepare this dish known to be a Chinese delicacy. While it is more commonly found in restaurants, this stall sells it for $4.50. 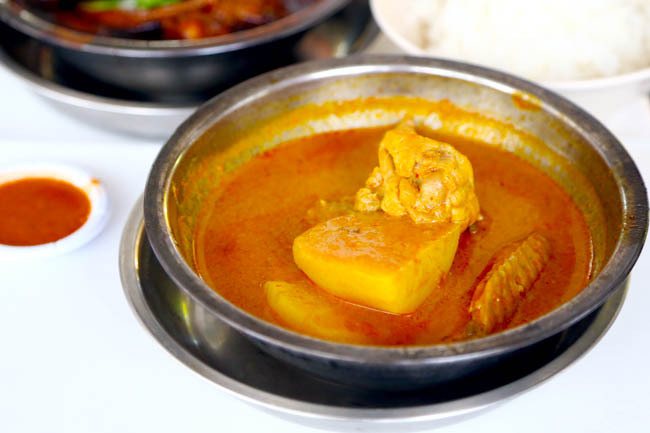 Their Spicy Curry Chicken is a steal at $3.50 with chicken wings and soft whole potatoes in ‘lemak’ gravy, while the Sesame Oil Chicken (also at $3.50) is a bowl of succulent chicken pieces in aromatic gravy. Definitely a hearty and filling meal. If you have stomach room and time to spare, you can always queue up at this Fried Carrot Cake stall, which can take anything from 30 min to an hour. 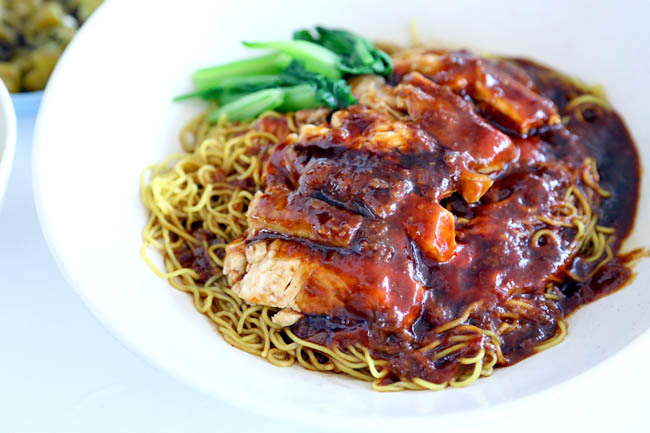 A plate of white or black chai tow kway is at $2.50! Oh yah, I preferred the white to the black version. 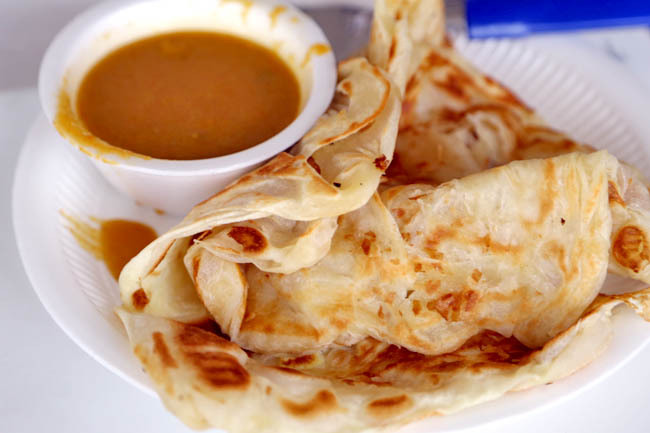 One food item that you can get at a relatively lower cost, without queuing too long is the Roti Prata. 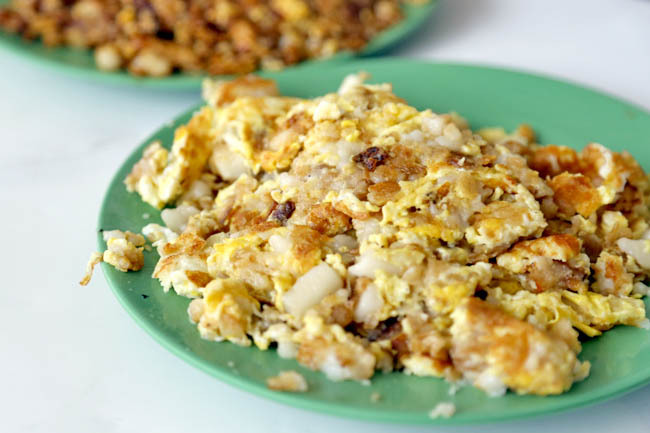 An egg prata is at $1.50, and two pieces could get you full for breakfast. 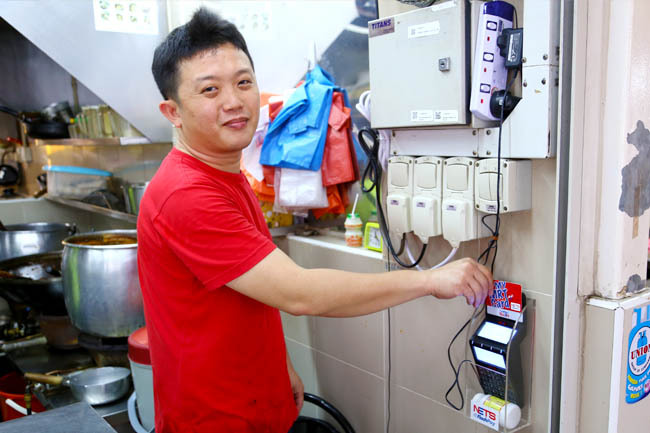 Stalls which accept FlashPay: Drink stall 24 #01-07, Boon Kee Wanton Noodle #01-40, Chen Ji Ke Jia Niang Dou Fu #01-27, Coffee Kid #01-30, Clementi Home Made Pau Dian #01-36, Dong Po Braised Pork #01-08, Fong’s Dee Curry Puff #01-31, Four Seasons Cheng Teng #01-42, Fried Carrot Cake #01-45, Kee Hock #01-43, Pontian Wanton Noodle #01-48, Satay Chai Ho Dried Pork #01-10, Sayed Aminah Muslim Food #01-02, Snow Mount (Fries & Snacks) #01-17, Soon Huat Cooked Food #01-14, The Icebreaker@clementi #01-16, Whampoa Soya Bean #01-19, Xi De Li Goreng Pisang #01-39, Chicken Rice) #01-25, Hello Dessert #01-29, and RongJi Satay Bee Hoon #01-35. As you can see, it is still possible to get a filling meal for 2 at less than $15. Furthermore, FlashPay users can also enjoy a 5% rebate at selected stalls at Clementi 448 Market and Food Centre. You just need to place a FlashPay card over a reader at the hawker stall. It’s that easy and simple. Use your FlashPay now when making paying for food and other transactions, and you’ll stand a chance to win a condo! 20 participants will win S$1,000 cash each, and one lucky winner among them will win the grand prize of a condominium unit in Stratum (hope it is me!). Also, if you use Bank Cards enabled with FlashPay, you will get 3 times the chances! *This entry is brought to you in partnership with NETS. Get your FlashPay at these locations. Visit the NETS Facebook Page for more information and the latest promotions.